Thank you very much for your e-mail. I am fully sastified with your reactions about every thing. Let me express my sincere thanks and satisfaction with the quality of service that you provided me. Your journal is quite professional and I believe that it will have a big deal among other reputable journals in the field. The general layout and theme of the journal is perfect. At the end I repeat my thanks for publishing my article and I am looking forward to submitting more works at your journal in the near future. I will be happy to rekindle it in the future, Below are my quotations: Website=comprehensive, user friendly, functional-very good, Replies to your mails = promptitude, quality of information and very helpful assistance= very good review process=promptitude and extremely constructive, at least in my experience=very good, Publication procedure=very good, Articles format=readable, aesthetic, professional-very good, Fee structure - fair and accessible = good. Future submissions towards our journals working on it. The manuscript submission and review processes are very efficient. The review format and comments are appropriate and fast (this is very important for an online journal to attract quality research articles). The article format is appealing too. 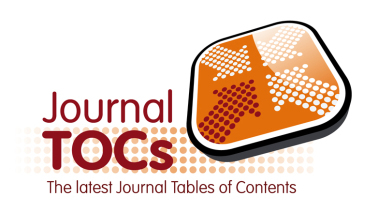 I can say without any hesitation the journal is one of the top journals related to forensic sciences based on the following criteria: 1) The review time is much faster; 2) The manger editor’s response is within 24 hours; 3) The publication procedure is rigid; 4) The review feedback is specific and constructive; 5) The format of manuscript is scientific and informative; 6) The fee structure is fair and reasonable 7) The website is convenient and straightforward. Thank you for your support and efforts. In general of your journal, I am satisfied very much and readers also give me feedback in my research-gate and scored more than 50 readers in this short time of publication. High quality in grammatical correction, findings and interpretation and format of the paper. Your Journal is serving as a bridge in communicating scientific information to the community in large. I really appreciate your handling issues in a very professional manner. The editing time frame is very good. Your comments are geared towards the subject matter and good you are reaching scientist who had in depth knowledge on the respective subject matters. The format of your journal is very good and attractive. We would like to thank you for the dedicated way in which you represent the comments of the reviewers and the editor’s feedback. Whenever we feel the need to approach you regarding a matter we always receive a prompt, well considered reply. Thanks for your hard work in treating our article, and especially in dealing with the many concerns we have brought to you in order to raise the quality of the paper. I am very satisfied about the services regarding the website of the journal, replies, review process, publication procedure, article format, and fee structure. Many thanks for the publication. The quality of all services was very good; the Website, Replies to mails, Review process, Publication procedure, Articles format - all was excellent.